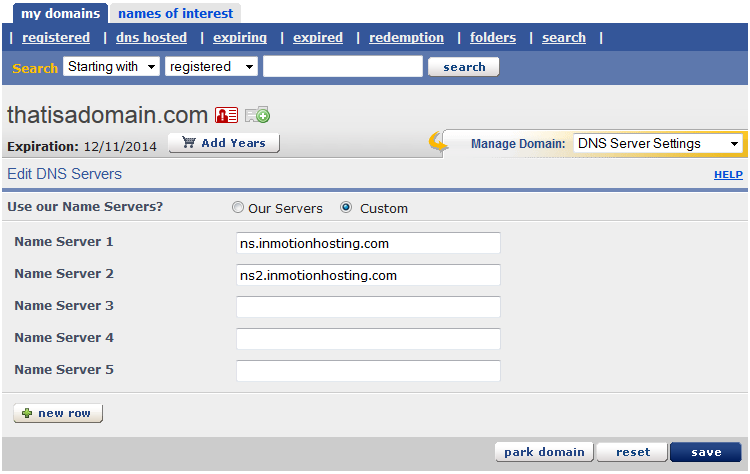 If you have purchased your domain name through Enom, InMotion Hosting still fully supports it. 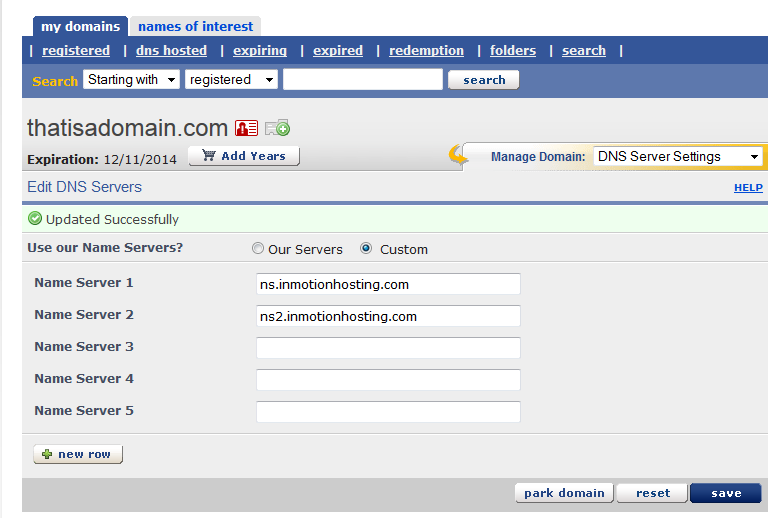 Domain names registered at Enom will need to point to our nameservers in order to function. This change will need to be done within your Enom account. The guide below demonstrates how to change your nameservers within the Enom account manager tool. Visit http://enom.com and click on the Login link in the upper right corner of the screen. This will bring up the login box. Enter your username and password and then click the Login button. This opens to your main page for your account. 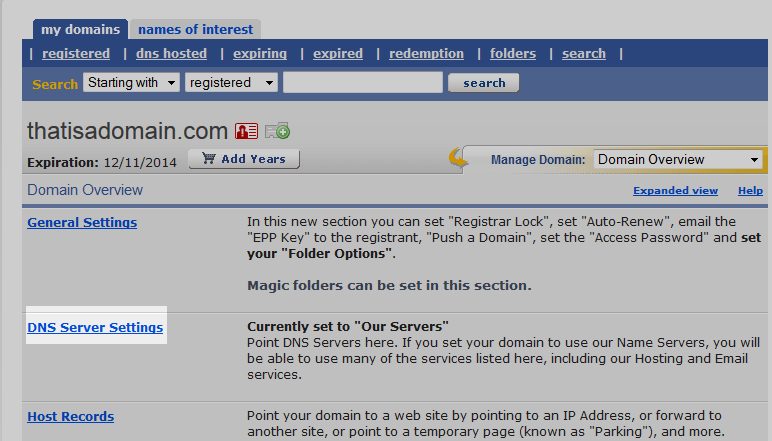 Look for the Domains category and click on the Registered link. You are now taken to the domain settings page. You will see a list of settings under the domain name. Find and click on the DNS Server Settings link. Once you have entered the nameserver names, click on the Save button in the lower right corner. After clicking the Save button you will get a propagation notice popup. This lets you know that it will take up to 24 hours for the change to take place across the web. Simply click OK to continue. After you have changed your nameservers a success message will appear on the Edit DNS Servers page. This lets you know that your change is now in progress and your domain should soon display content from your InMotion server.